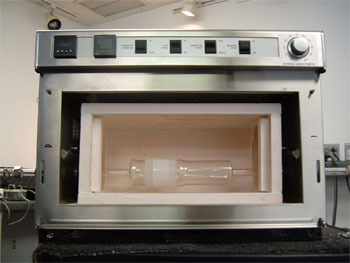 Large Format Microwaves for Materials Research and Industrial Applications. 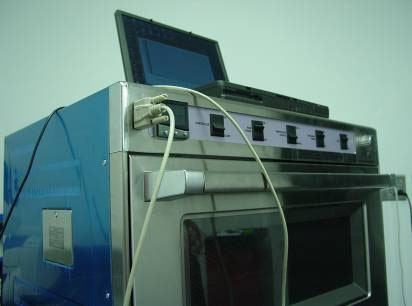 - Laboratory Microwave Ovens - Microwave Research Applications, laboratory microwave ovens used for chemical, medical, food and material laboratory applications. 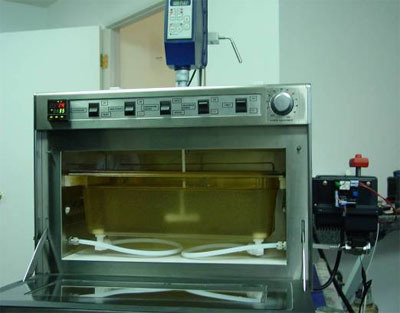 Microwave Research & Applications, Inc.
Our large format microwaves are some of the most versatile microwaves that we have available. These are the largest “off the shelf” microwaves in terms of physical size and power levels on the market today. 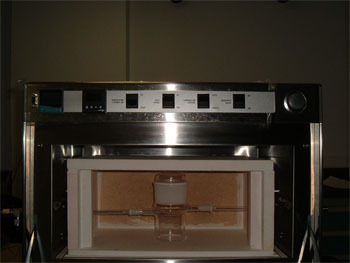 Because of their size and higher power levels, we can economically custom “configure” these microwaves with a number of desired options as well as meet our customers requirements with other features not normally offered, such as the ability to monitor pressure in a vessel in the microwave, sample stirring during processing or combining other forms of heating (such as hot air or IR heating) with microwaves. Our large format microwaves include the BP-210 and BP-211. New energy source research – Pyrolysis of organic materials, fluidized bed processing. 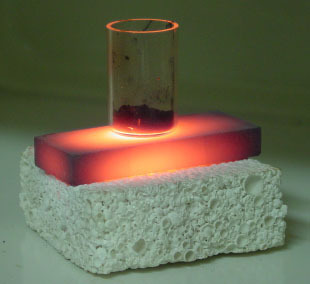 Pyrolysis research microwaves with process temperatures to 950 °C.